We’ve just seen the 2006 movie, Goya’s Ghosts, by Milos Forman. It is very well-done, historically accurate, and tasteful in its portrayal of the Spanish Inquisition, and its effects on the life of Don Francisco de Goya y Lucientes, popularly known as Goya. It is a tragic story, about which I shall not comment here, because the film, Goya’s Ghosts, is a voyage of discovery, and I avoid spoiling the adventure for prospective viewers. Now that Goya’s Ghosts is available on Pay-per-View, your chances of seeing it are good. For more than a year, I attempted to purchase it. 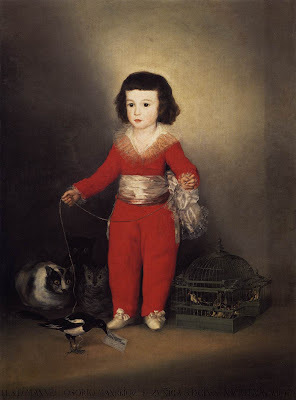 Francisco de Goya y Lucientes is my favorite painter. In the late 1980s, I saw a show of his political drawings at the Metropolitan Museum of Art in New York City. Through watching this film, I discovered more about just what a fine person he was: an altruistic, humane gentleman. Want to get the U.S. “health-care” system out of critical condition? Don’t force people to buy “health insurance”–a misnomer if there ever was one; it’s more aptly called health gambling–like Hillary Clinton proposes to do. Simply send the whole notion of health insurance to the ash-heap of history! …and therefore opposes its joining the European Union. On the 24th of April, President Nicolas Sarkozy of France reaffirmed his opposition to Turkey joining the European Union, and said he would order a referendum on Turkish membership if necessary. The president’s comments came a day after his government said that it would scrap an amendment to its constitution that requires France to hold a referendum on any expansion of the EU. “I have always been opposed to the entry of Turkey” into the EU, he said in a television interview. “Turkey is not in Europe,” Mr. Sarkozy declared. President Sarkozy said that if Turkey’s proposed membership in the EU became a serious issue while he was president he would call a referendum. But Nicolas Sarkozy is against holding automatic referendums each time a new member joins the EU. The cabinet approved plans yesterday to change the constitution so that France does not have to hold a public vote each time a new European country wants to join the EU. “If tomorrow the Swiss want to come into Europe, we are not going to contest the fact that they are Europeans” and hold a referendum, President Sarkozy said. 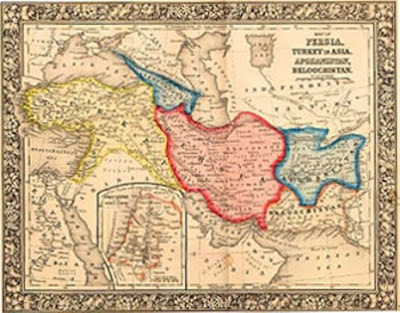 Sarkozy has often said that Turkey, a country what has begun having talks with the EU about joining, “does not belong in Europe”, arguing that most of its land mass is in Asia. Polls indicate that the majority of French citizens support President Sarkozy’s position. Turkey, which does a lot of business with Europe, has historically been considered the Near East or Asia Minor (“mikrasia” in Greek).